The relationship between mainstream media and the optimistic elements of hip hop is tenuous at best. Constantly being tossed into an abyss of negativity that feeds off the shootings, drug arrests and jail terms; the genre rarely finds itself basking in a positive light. Not because constructive behavior isn’t practiced by the musicians; but because that behavior isn’t always seen as news worthy. With enough buzz to jump start a tree hugger’s electric compact, the Brooklyn MC is slated to act as New York’s latest Pied Piper, leading the masses back to the cradle of hip hop civilization through his much anticipated album, The Greatest Story Never Told. He is a movement in the making. He is beyond talented. He is revered by his peers. And he has as much street cred as the law will allow; and some the law won’t. However, all of his layers have not been exposed on a grand scale. As a co-founder of Abandoned Nation Entertainment, Saigon has not just lent his celebrity to a worthy cause. He is fighting on the front lines with a group who not only wish to entertain, but also bring social change. The full story backs us up to the late 90s when Saigon (Uncle Sam knows him as Brian Carenard), awash in street thought, found himself behind bars. While originally charged with attempted murder, the teen was ultimately convicted of first degree assault. The mental wrestling match between his past and his future ensued as he pondered the lengthy sentence he dodged, and his future won. He joined an in-house project known as the Resurrection Study Group and became friends with one of the other participants, Omnipotent; as well as the instructor Sharieff Clayton. “I met Saigon in 1997. And we were, for lack of a better word, classmates in the Resurrection Program. But after a while we were teaching some of the classes. And actually classmates isn’t a bad word at all because we were learning,” Omnipotent offers. The study group, a meeting of minds to build tools for avoiding the the pitfalls of urban life, not only cultivated productive mind-sets in the trio; it also fostered a desire for transformation. Once all three were released, they took what they accomplished inside and unleashed it on the streets of New York. The split personality of Abandoned Nation Entertainment has two very separate sides. There is the entertainment side which includes Saigon and two other up-and-comers, Rough and Atrocity. They not only pride themselves on their lyrical abilities, but also on the topics they consider. Obligatory and common elements of testosterone driven braggadocio are present, but eventually met and dominated by the emcees demands for clearer hood thought, regaining lost lives and dismissal of solely materialistic goals. These young men care for their streets and bring more thought to their care than the average rapper. Then there is Abandoned Nation (The Foundation). It works in tandem with In Arms Reach, an organization which serves children in the New York area logistically orphaned by their parents’ incarceration. 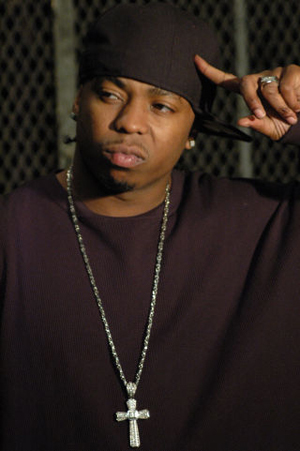 In 2004, Saigon was introduced to Terrence “T-Wheels” Stevens at a party hosted by Russell Simmons. Mr. Stevens founded a strikingly similar non-profit called In Arms Reach in 2002. But the two had something else in common. As the recipient of a mandatory sentence born of the controversial Rockefeller drug laws in New York State, Stevens was another product of the state’s correctional machine. He was staring down the barrel of 15 to life for five ounces of cocaine when his sentence was commuted in 2001 by then Gov. George Pataki. Understanding the power of teamwork, the organizations combined, giving birth to the In Arms Reach/Abandoned Nation collaboration. From its home on the campus of City College of New York, In Arms Reach/Abandoned Nation provides a plethora of children’s services, including creative letter-writing classes, transportation to and from correctional facilities to engender regular family visitation, and tutoring and counseling sessions. The kids visit the campus every two weeks, where pre-med students from CCNY’s Sophie Davis School of Biomedical Education tutor them. Their report cards are monitored and the program tracks their academic improvement. Social workers are available to the program participants 24 hours a day. It’s almost like a parent-away-from-parent-program as In Arms Reach steps in to fill the empty spot left by the incarcerated guardian. In Arms Reach encourages participation from the children’s jailed parents as well as correctional facility administrations to break the cycle. In Arms Reach/Abandoned Nation takes in hundreds of thousands of dollars per year, thanks to donations and the group’s celebrity connections. Omnipotent says the group is considering expanding south, and is currently looking at getting non-profit status in Atlanta. “Saigon is part of this organization. He is the face and he brings in a lot of our donations,” he says. Omnipotent adds that the children have had the pleasure of being visited on the campus by several celebrities, including former New York Giants linebacker Carl Banks and Bill Cosby. In almost ironic fashion, the children receiving the help are also encouraged to help. The organization suggests the children participate in community service projects ranging from donating time at geriatric facilities to working with the homeless. The idea of giving back, it believes, will develop their social awareness as well as a stronger connection to their communities. According to its website, www.abandonednation.com, “In Arms Reach/Abandoned Nation represents a repatriation of the community of impoverished ghettos everywhere.” So as you count down the seconds until you can cop The Greatest Story Never Told, understand you will not be buying another hip hop CD. You may actually be contributing to the welfare of a child some have already counted as lost, abandoned. And all of this comes courtesy of the latest, greatest New York ex-con turned rapper. Now how’s that for layers? This entry was posted in Special Report and tagged Abandoned Nation, Saigon. Bookmark the permalink. This is a good sign, I must admit even here where I like the majority of the rap that reaches here are usually the ones themed with violence , sexism and drugs , causing so many in society to view rap as a negative influence to the young ones thus must be avoided at all costs. Positive movements like these should be encouraged to propagate so that they can change the current predominantly negative outlook people have towards rap.